Aloha POS offers a comprehensive Takeout and Home Delivery Software add-on to the core Aloha POS Software. 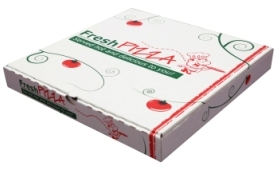 Takeout forms the foundation with Home Delivery as a further add-on. Interface a Telephone Caller-ID box which allows the transmission of the callers phone number directly into the POS search field to instantly recall customers from the database. Multiple phone numbers and addresses can be stored for individual customers. Future orders can be entered at any time. Replace manual processes with automated scheduling, tracking and production of future orders. The customer's previous order can be recalled at the POS saving valuable re-entry time. Dispatch and kitchen dockets contain your customers name, address, map references and special instructions to assist your drivers. To further enhance your customer's satisfaction, your home delivery database can be integrated to the Aloha POS Customer Loyalty program to reward those regular customers. Driver order assignment and management. You can not purchase the Aloha POS - Takeout & Home Delivery Software Add-on as "stand-alone" ie. You must already have purchased an Aloha POS Software license or you can purchase the Takeout & Home Delivery Software Add-on at the same time as the core Aloha POS Software product.